Creating “Life” is the biggest miracle in the world, let alone going through the experience of having life itself growing inside your body. When a woman falls pregnant, automatically all the attention is on her and most times dad takes second place. It is extremely important to make the father part of the experience from day one. The foundation for any emotionally healthy individual is their childhood and the deep roots that are created within the core family. …the fertilized egg starts a journey to the nesting place, the womb and when the perfect spot is found it attaches to the wall. The bond between mother and child is deeper than ever, the umbilical cord develops and as we all know – this is where the baby gets nourishment from. What many people are not aware is – the umbilical cord is also a permanent reminder of the miracle of Life. Not only does the baby get the nourishment that it needs to grow strong, but also is a channel to emotions, feelings and energy frequencies. As soon as a couple has the knowledge that they are pregnant, yes “They are pregnant”, because it takes 2 to tango to make a baby…let’s forget about new technologies and trying to create babies in a lab…the reason that it’s called the ‘Miracle of Life’ is exactly that a miracle cannot be recreated. It’s the perfect time for the father to be involved as much as mum. Many fathers feel alienated from the whole experience during the pregnancy due to the fact that they have learned it’s a woman’s thing… very wrong at so many levels. The baby is as much mum’s as it’s dad’s and that amazing being that is now growing is embedded in their DNA – both male and female strands that will need to be balanced emotionally and energetically. It is of utmost importance that dad asks what mum’s needs are, as we all know hormones kick in during the pregnancy, the body completely changes, and the chakras are kicked out of place like the internal organs to make room for a being to grow. Of course the father will not quite grasp the concept because it is not happening in their own body, but it has been reported that many men can actually feel a lot of their partner’s pregnancy, so communication and expressing their feelings and emotional changes is crucial during this magical period. Bonding is imperative! During the many years of my work, I came across numerous people that barely have any recollection of happy moments from when they were children due to traumas. Their unconscious mind chose to create a safe armor and develop a coping strategy due to what they have seen and experienced even from a very young age. I had a lady that every time we tried to go back to a happy moment as a child she would start with a panic attack, pure fear, and she would tell me that she could only see darkness and hear screams. After a regression it came to surface the reason – we had to go back as far as her being in the womb and dad screaming and shouting at mum, because she had fallen pregnant at a young age and the parents wanted her to have an abortion. She never liked her grandparents and she had no reason not to like them, as this information was never passed on to her, but after she spoke to her mum she confirmed what had happened in more detail. From that we were able to clear her blocks, fears and within 3 months memories started to emerge. …and when it is ready to heal and move forward it will send the signs, but if the difficulties persist, the coping strategies will turn into chronic patterns that will sooner or later anchor into the physical body and mind as defense structures. As adults and especially as parents it is vital to recognize the blocks we carry within ourselves, find the source and meaning of them, but above all, develop the tools to heal them so we don’t later project all our rubbish upon our children. 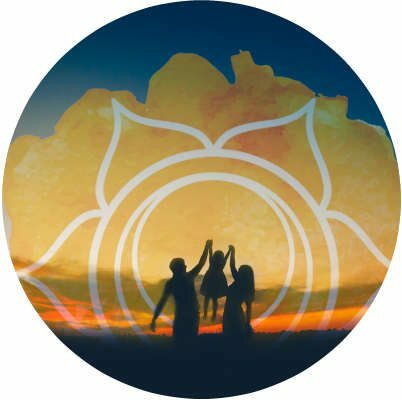 Our chakra system is of vital importance and can be used as a major tool to combat viruses, debug and reprogram our lives and belief systems that were embedded in us from conception. As we all know a baby carries 50% mum’s DNA and 50% dad’s DNA, but many people are not aware that DNA carries a blueprint that can be passed on for many generations. For example it’s not only the genetics of the family that are imprinted within the DNA code but also deep emotional patterns. If one of your great grandparents had the tendency for deep depressions, anger, and sadness this also carries a code that will surely be imprinted upon future generations, the same applies with all positive imprints. By working with our chakra system and keeping a routine of cleansing and clearing we can plug into this system like a radio. Our chakras then become like stations, receiving, filtering and broadcasting at different frequencies. You are the one that chooses what frequency you wish to vibrate from, negative or positive and the beauty of it is you can always change the frequency and vibration any time you want if you wish to do so. The sacral chakra plays a major role in all this process. 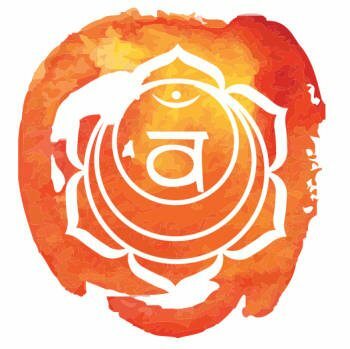 This chakra is situated in the lower abdomen, 4 inches above the root chakra, it is translucent orange and it is associated with emotions, creativity, codes of honor and ethics, emotional identity and sexuality. …it will rule the sexual organs both male and female, bladder, large intestine, pelvis, kidneys, appendix, lower vertebrae and the lymphatic system. …it can affect all the above organs and it is also associated with sexual addiction, seductive manipulation, emotional dependency, over sensitivity and uncontrolled emotions, invasion of others’ privacy, poor social skills, frigidity, fear of intimacy, fear of change and extreme rigidity in attitudes and mindsets. At this point the child’s perception is that he/she is in charge, they are the boss and all around are there to serve. They have great difficulty when receiving no for an answer and will do whatever it takes to have their way. Both parents need to be on the same page. If one says No the other needs to say No and re-enforce it as many times as needed until the message is loud and clear…No means No and there is no compromising at this stage as manipulation is one of the most common weapons. If mismanaged, the child can become extremely egocentric and start developing narcissistic personality trails. This is a lesson that many parents fail to transmit to their children at this crucial stage in their lives and why many children have turned into drug addicts, alcoholics, narcissists and so on. Not getting what you want when you want it and you want it now can be a handful for many parents at this stage. The sooner the strategies are put in place the sooner all runs in prefect harmony. It is very important to explain to the child the reason for behind no and yes. Yes, children are very intelligent, and yes, they do have selective hearing, so both parents have to be very firm and when communicating with the child you should come down to their level so both are seeing eye to eye, heart to heart. Also lower the tone of voice but firm so they can “feel” what you’re expressing has no room for negotiation. The child will in a gentle way understand and very easily integrate the new skill of balance – giving and receiving – which is essential for their future and all healthy relationships, learning how to handle rejection in a positive and empowered way, having a deeper understanding of the ability to be completely selfless, and creating the sense and ability to master and overcome life’s many temptations.